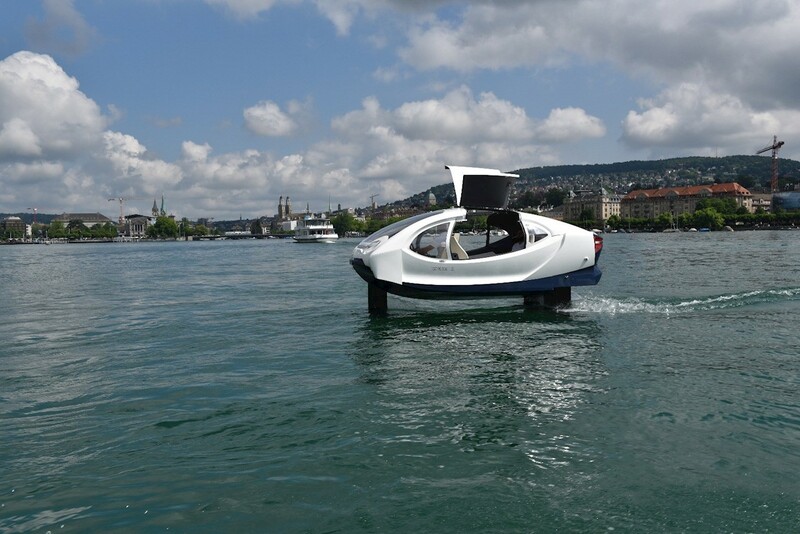 The pioneering technology leader, headquartered in Zurich, continues to build on its tradition of weaving renewable power and electric transportation into Switzerland. The towering mountain peaks and lakes that define Switzerland’s landscape are far more than a world-renowned travel destination. That geography, and the lack of naturally occurring local coal or oil, explains why hydro has powered much of Switzerland’s electricity grid since the late 19th century. It's also the reason electricity has been a preferred power source, with electric trains, cars and cable cars built to master the steep terrain and high altitudes. ABB has been involved for more than a century in the development of Switzerland‘s electric grid and transportation systems. 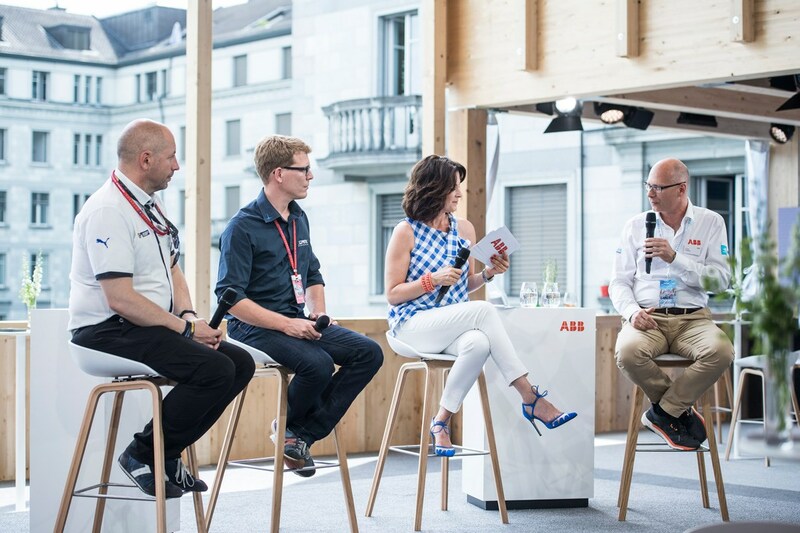 Today, ABB plays a leading role in weaving renewable energy as well as sustainable electric transportation into the fabric of modern Swiss life. And it is ABB charging systems that keep battery-powered EVs in motion. 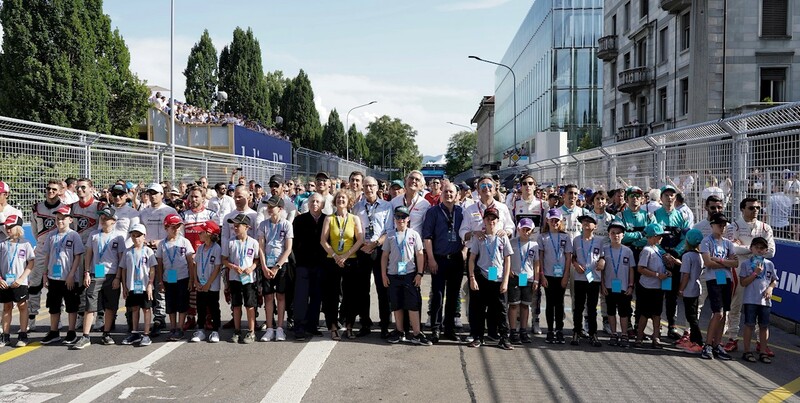 On the occasion of the 30th anniversary of the merger of ASEA and Brown Boveri & Cie, ABB has made a gift to the people of Zurich of 30 fast-charging stations for sustainable e-mobility. 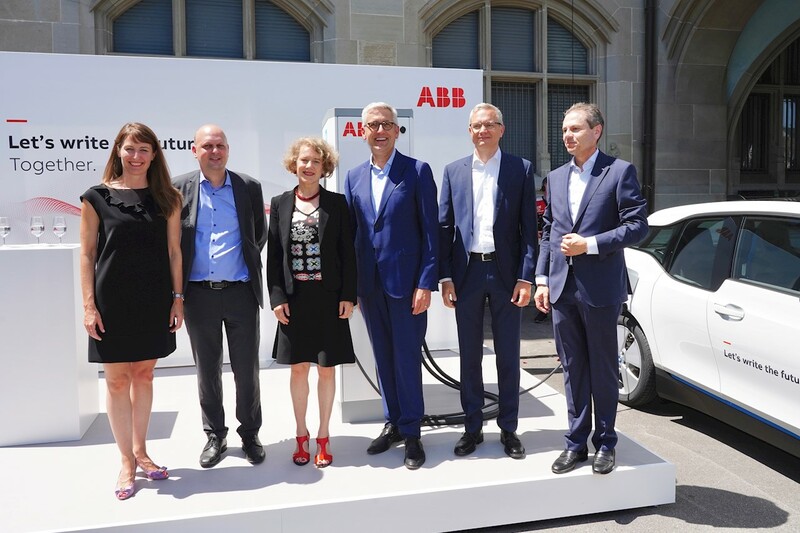 ABB will be helping the city of Zurich build a comprehensive charging infrastructure for sustainable, eco-friendly mobility by installing 30 EV charging stations. 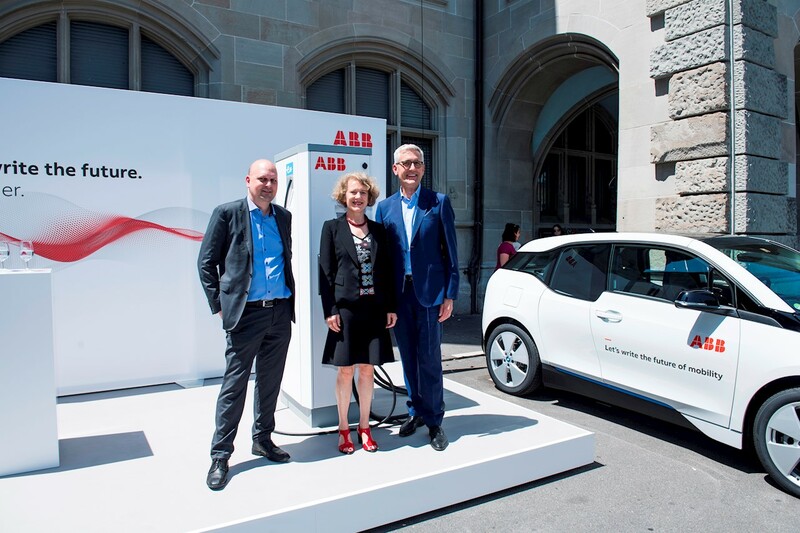 ABB CEO Ulrich Spiesshofer , Zurich Mayor Corine Mauch and City Councilor and Head of the Department of Public Utilities and Transport Michael Baumer announcing ABB's gift to the people of Zurich of 30 fast-charging stations for sustainable e-mobility. 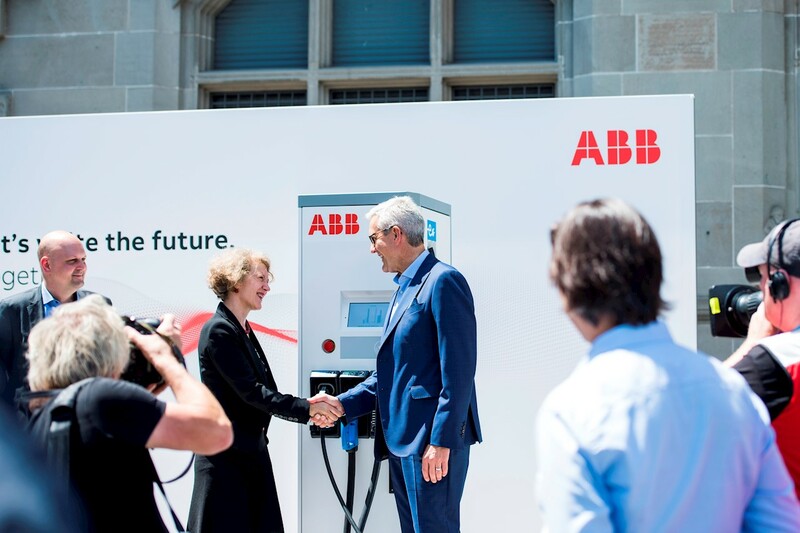 The Zurich network will increase ABB’s global lead in charging installations, with 7,000 units already in place in more than 60 countries. That includes ABB’s Terra HP chargers, the world’s fastest, which are capable of adding 200 kilometers of driving range in just eight minutes. Electric transportation is only as clean as the energy that powers it. ABB provides the technologies that enable sustainable energy sources to feed power smoothly and reliably onto the grid, and to balance the fluctuations that occur when the wind is not blowing and the sun does not shine. In the Grimsel region of the Swiss Alps, ABB has supplied the world’s largest frequency converter. In the past, the pumps at the Grimsel 2 hydropower plant could operate only at full power. With the new ABB converter, the pumps can be operated more efficiently at variable power levels. That helps balance loads on the power grid with intermittent electricity sources like solar and wind. At Europe’s highest-altitude wind farm, in Gries, Switzerland, an ABB transformer connects the output from the four wind turbines to the national grid. The wind farm’s energy can also be used to pump water into the nearby lake, the Griessee, acting as a hydropower energy reservoir. The same ABB transformer also helps feed the Griessee hydroelectricity onto the grid. Pumped hydro-energy storage will be increasingly important as more wind and solar power is added to the Swiss energy mix. A 900-megawatt pumped storage power plant is under construction at Nant de Drance in the Swiss Alps, near the French border. It is an ambitious undertaking, situated 2,000 meters above sea level and requiring 17 kilometers of tunnels to be drilled through alpine rock. 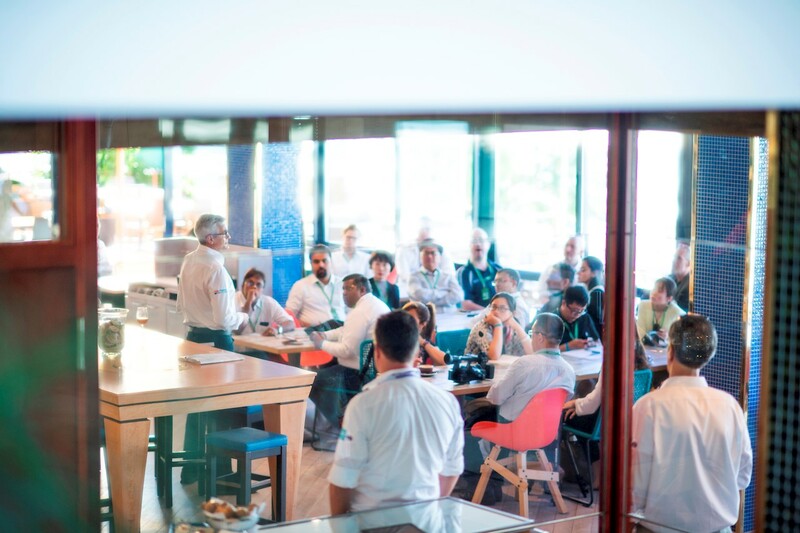 ABB is the supplier of the automation system that will control the entire production process at the Nant de Drance plant, which is spread out over several sites, and will be remotely monitored from a control center in Lausanne, 70 kilometers away. ABB is also a leader in solar-energy technology, including the inverters that turn the power from photovoltaic panels into usable alternating current (AC) electricity. In the Swiss city of Biel, about a half-hour’s drive north of Bern, the Tissot Arena sports complex has the world’s largest in-stadium solar power plant on its roof. It has a capacity of 2.1 MW, driven by more than five dozen ABB TRIO string inverters. In addition, ABB helps providers of all forms of power optimize operations with ABB AbilityTM, ABB's unified, cross-industry digital offering. This results in lower costs and increased productivity. More than 210 solutions are currently available, many of which are listed in the new ABB AbilityTM Solutions Catalogue. 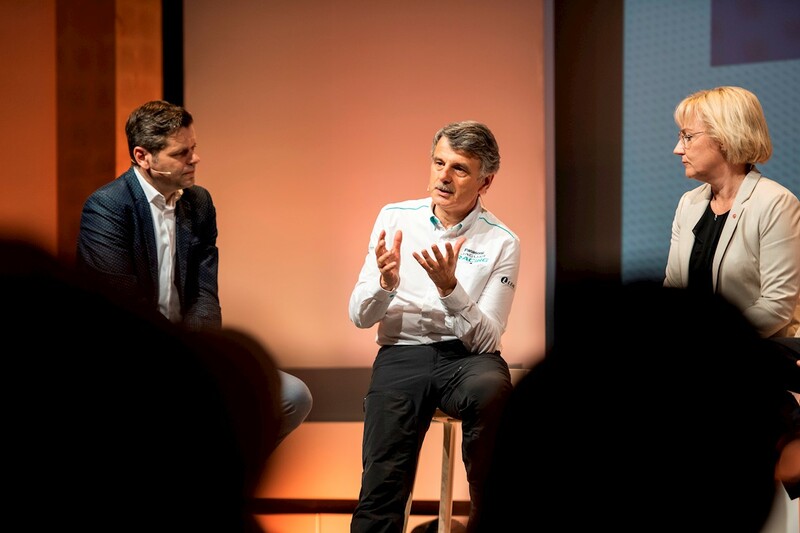 In Switzerland and around the world, a crucial technology that is helping utilities and other big customers navigate the Energy Revolution is based on the FACTS industry standard. One of the uses of FACTS – which stands for Flexible Alternating Current Transmission Systems – is to safely feed intermittent energy sources like wind and solar power into the grid by helping to stabilize current and voltage. 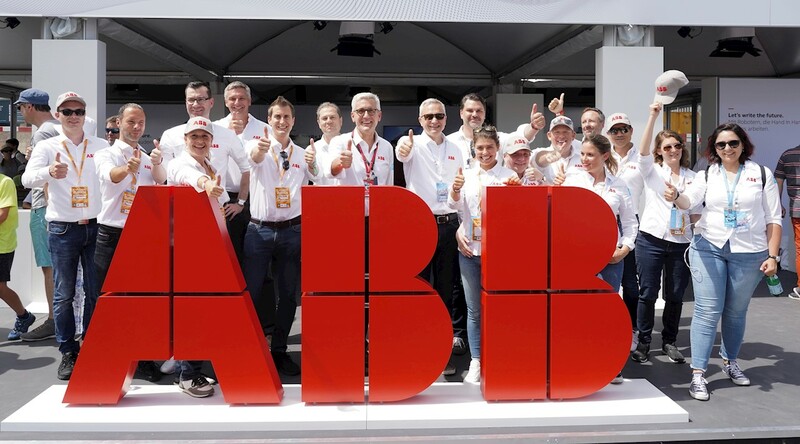 ABB pioneered the technology and has delivered more than 700 FACTS installations around the world. Within ABB’s FACTS portfolio are Static Frequency Converters, which can interconnect normally incompatible networks, for instance with different frequencies. The Swiss national railway operator SBB uses the converters to reliably power the transportation of over 360 million passengers and 50 million tons of freight annually. 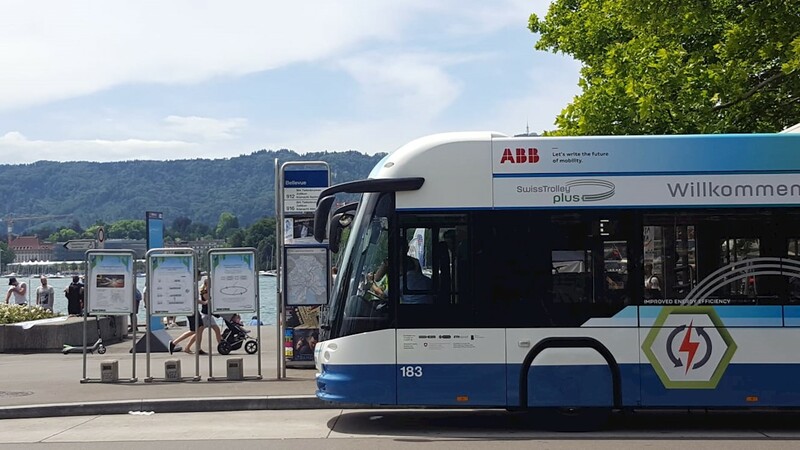 It is simply one more way that ABB’s long tradition of supporting Swiss e-mobility continues in the era of sustainable energy. 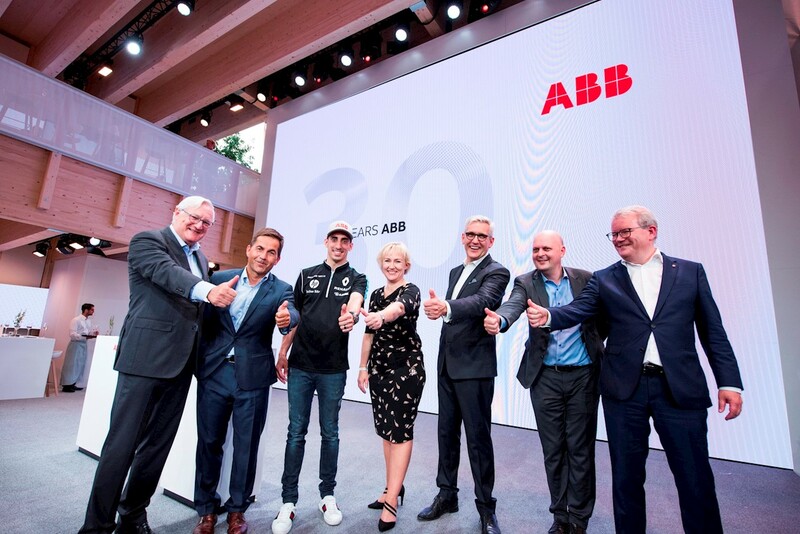 A series of panel discussions and presentations highlighting ABB's leadership role in sustainable transport were attended by prominent officials, leaders in the field, as well as media and customers. Standing left to right: Peter Voser, ABB Chairman, Walter Thurnherr, Federal Chancellor of Switzerland, Sébastien Buemi, Helene Hellmark Knutsson, Swedish Minister for Higher Education and Research, Ulrich Spiesshofer, ABB CEO, Michael Baumer, City Councilor and Head of the Department of Public Utilities and Transport, Anders Teljebäck, Mayor of Västerås, Sweden . Sitting left to right: Urs Gredig, Editor-in-Chief CNN Money Switzerland, Prof. Dr. Ralf Speth, CEO Jaguar Land Rover, Helene Hellmark Knutsson, Swedish Minister for Higher Education and Research.